We help organisations enhance their people capability through job design and analysis, training, performance assessment and skills development. Talented people are core to the success of your organisation. We have considerable expertise in helping organisations enhance the capacity and efficiency of their workforce and people systems. By working with you, the client, we will develop a detailed understanding of your organisational capability and your human resources environment. Following this, we will collaborate with you to co-design solutions to your organisation’s key challenges. Together, we can develop tools to empower your staff and ensure that they have the skills to achieve your organisational goals. Assimilate the honest feedback from the full circle of their professional influences including employees, supervisors, peers and business partners. Fyusion has facilitated numerous positive and constructive 360 degree feedback projects for leaders in the public sector. Clients have found the feedback valuable for both their professional and personal development. We have also conducted a large number of Executive coaching assignments with Public Sector leaders including Band 2 and Band 3 staff at some of the largest departments in the Commonwealth. Our coaching sessions have allowed our clients to focus and prioritise their efforts to acehive their organisation's goals. Work settings – including purpose, goals, objectives and the resources required to achieve certain outputs. Successful job design in your organisation will lead to greater satisfaction levels among staff in terms of clear career pathways and training opportunities. Job design can also be used to ensure your organisation is ready for the requirements of new legislation. Strategic workforce planning is crucial for realigning corporate and strategic objectives in the face of organisational change. Whether it be through the imminent loss of corporate knowledge through employee exits or the need to review skills requirements in the face of a rapidly growing division. Fyusion is well placed to provide your executive team with sound strategic advice, insight, options and recommendations based on your specific situation. Fyusion’s advice is always grounded in best practice from our experience of working with comparable organisations. As well as delivering training courses, Fyusion consultants have expertise across the whole training lifecycle. This includes extensive experience in undertaking evaluations of existing training courses (with a view to redesign) as well as the research, design, development and delivery of new training packages. Design, develop and deliver courses. Culture is one of the strongest forces that pushes an organisation towards or away from acheiving its goals. Unlike process or HR issues however, culture can often be invisible and very difficult to identify. Our Managing Director, Lisa Koch, has a strong academic background in organisational psychology and the effect of culture on organisations. 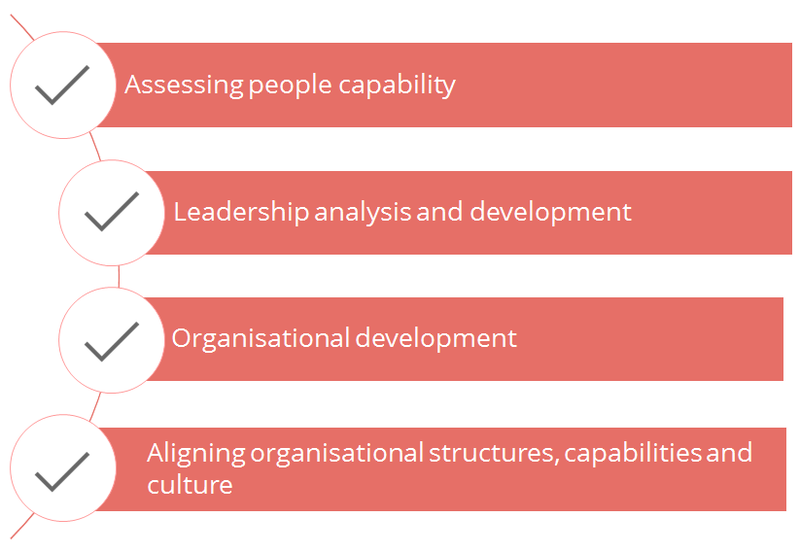 Combining this detailed knowledge with the ability to listen and understand your organisational context and requirements, we will ensure to identify and treat any cultural problems that your organisation is facing.